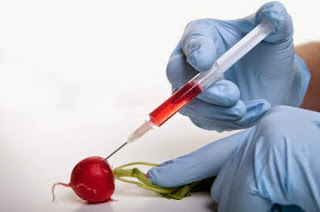 As the Institute for Responsible Technology has noted, the genetic engineering process creates massive collateral damage, causing mutations in hundreds or thousands of locations throughout the plant's DNA. Natural genes can be deleted or permanently turned on or off, and hundreds may change their behavior. Even the inserted gene can be damaged or rearranged, and may create proteins that can trigger allergies or promote disease. And we've seen cross-species transfer of DNA happen before. A significant percentage of human DNA is actually viral DNA that became part of us over 40 million years ago. There is concern that virally transmitted DNA may cause mutations and psychiatric disorders such as schizophrenia and mood disorders. GE organisms may exacerbate this phenomenon. To this day, the government has refused to address the issue of purity standards for GE-manufactured products. Instead, federal agencies and biotech companies claimed that contaminants linked to the EMS tragedy were caused by changes in the company's manufacturing process—despite the fact that the company was precisely following the purity standards enforced by government rules. The USDA has released two Environmental Assessment reports, one for Monsanto's corn genetically engineered to be drought-tolerant, and the other for Syngenta Biotechnology's cotton genetically engineered to be pest-resistant. USDA believes the cotton is "unlikely to pose a plant pest risk"; for the corn, the agency is considering either keeping the corn under regulation, or assigning it nonregulated status (banning it altogether is off the table). The comment period for both EAs is open until July 11.